The headline misses the real claim of four women who championed merit-based hiring, but the article does their effort justice. Indexed at Women and the typewriter at Type-Writer.org. © 2019 – 2018, Mark Adams. All rights reserved. 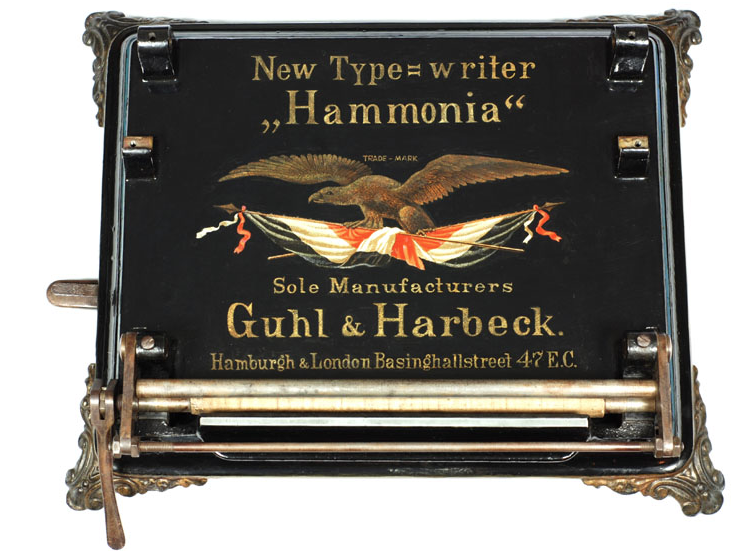 Typists in the 19th century were not fond of index typewriters, so the Hammonia and Kosmpolit were frequently panned in phonographic journals. 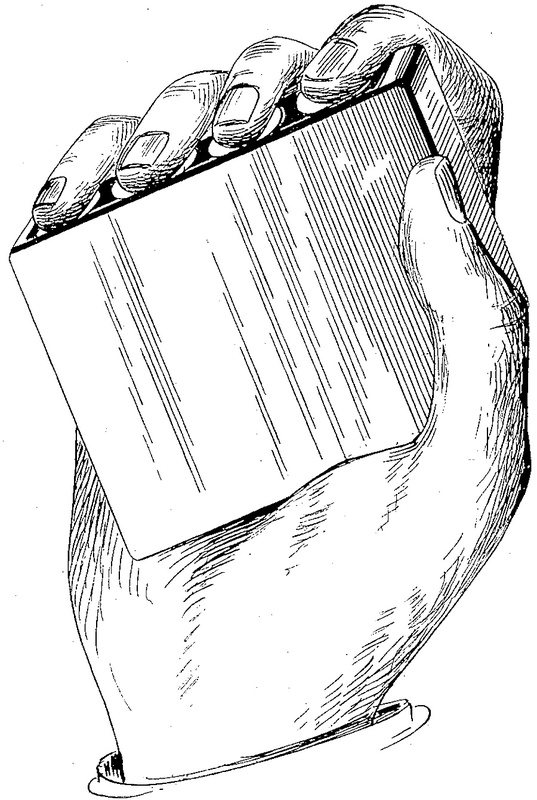 These devices were engineered by Heinrich Hermann Guhl and Christian Friedrich Harbeck in Germany, beginning in 1884. While index machines may not have been suitable for heavy typing, they served useful purposes for making neat work. Some were modestly successful. 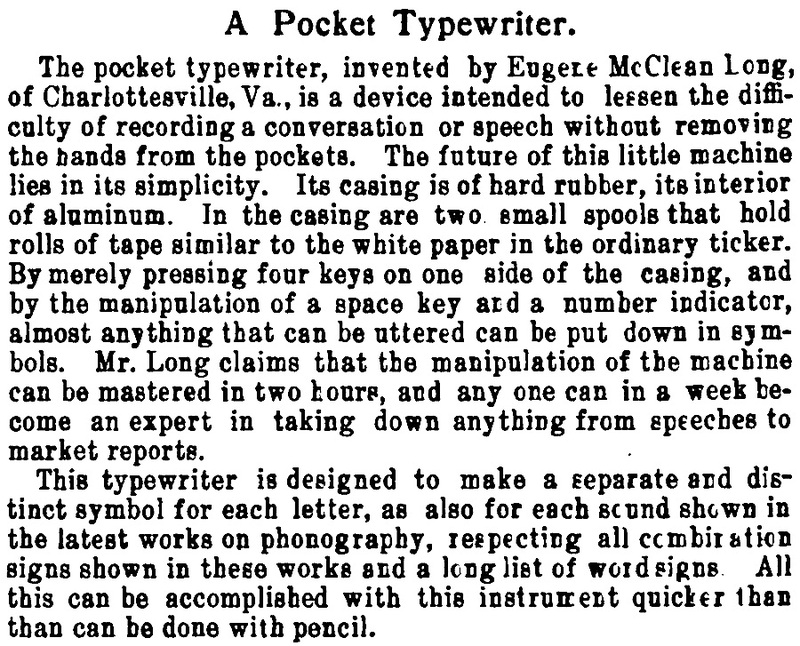 Regarding the speed of various machines, Brown’s Phonographic Monthly (1887) reported a test by a shorthand writer (and Remington enthusiast) named Beyerlein: “[He] gives the following as the number of German words that can be written in one minute by the various machines now in the German Market: —Columbia, 30 —Sun 15 — Hammonia 17 —Westfalia 12 —Hall 25 — Caligraph (if new) 40 to 60—Remington 50 to 80; while for the Hammond Machine he calculates 30 English words or 15 German words in the minute.” His bias is undisguised, but there is no question that standard machines were faster.